A Mylor-based classic boat builder is recruiting extra staff following a successful showing at the London Boat Show earlier this month. 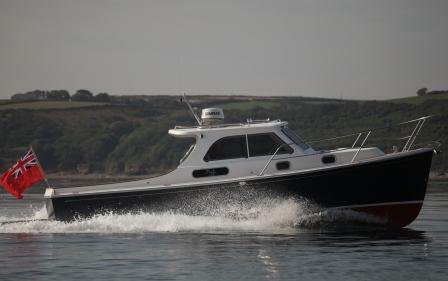 Cockwells received two orders for its Duchy 27 motorboat, valued in excess of £300k. MD Dave Cockwell commented: “The sales reflect a growing confidence in the leisure market which is great for all of us. As a result of the purchases and the growing popularity of the Mylor Creek Boatyard, where Cockwells is based, the company is now looking to recruit two new experienced shipwrights.